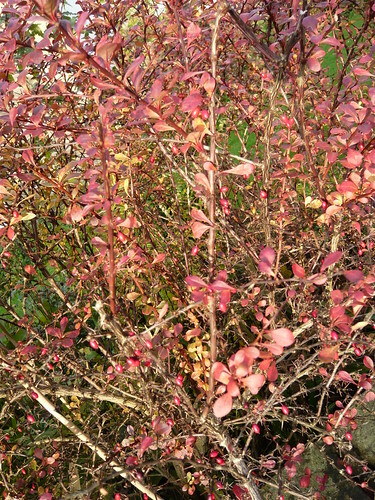 Your Berberis may loose their leaves or remain evergreen through winter. 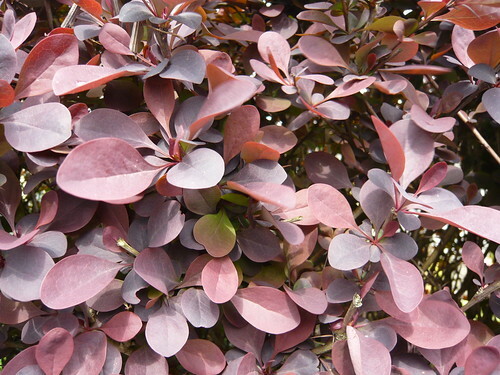 This purple leaved variety, Berberis Thunbergii has turned from very dark to red coloured leaves and after another frost they will be gone. The red berries wont last long either as they are feeding small birds which have already thinned them out. The spines will remain as a deterrent to unwanted intruders and fresh new leaves will reappear in spring. 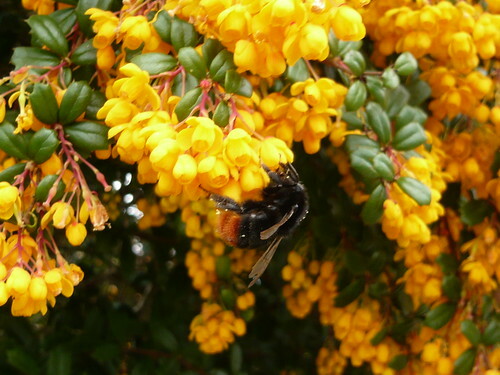 Best evergreen varieties include Berberis candidula x carmine, Berberis dawinii (flowering orange see below) or one of the hybrid Berberis stenophylia. Best for red or blue-black berries, include Berberis aggreata, Barbarossa, Micrantha, Berberis microphylla and Berberis buxifolia. Berberis vulgaris which used to be eaten in Victorian times plus Berberis heterophylla and Berberis darwinii are all worth considering for cooking or eating dried. Best yellow flowered Berberis Dictyophylla, Berberis Koreana and Berberis darwinii.